Kollur is a temple town and hill station near Kundapur in the Udupi district region of India. Mangalore International Airport (IXE IATA), at Bajpe, about 20 km from the city centre. There are daily flights to Mumbai, Bangalore, Goa, Kochi and Calicut in the domestic segment and weekly or bi-weekly flights to Dubai, Abu Dhabi, Muscat (Oman), Doha (Qatar), Kuwait and Bahrain in the international segment. Kollur is two hours drive from Mangalore. Byndoor (Mookambika Road Station - BYNR) is the nearest station to Kollur, road distance is about 28 km. From the railway station to Byndoor, catch a rickshaw, and from Byndoor to Kollur private bus facility is there but at limited intervals. Other option is private taxi from Byndoor or from the railway station. Big disadvantage of Byndoor station is its located remote border area of Kundapura taluk and there is risk of getting facilities during night hours. Kundapura (KUDA) is the best railway station to reach Kollur because you can get more buses from here. But the Kundapura Railway Station is 10 km from the city and autorikshwas charge about ₹120 to the city bus stand. Kollur is about 38 km from the railway station. The station has good waiting room/hall and a fruit stall. From Kundapura there are plenty of private express buses are available (every 15 min) to Kollur. Plenty of private taxis are also available. Nearest route to Kollur from the station is via Basrur-Gulvady Vended Dam Bridge (Kundapura Station-Basrur-Gulvadi Vented Dam Bridge-Neralkatte-Vandse-Kollur), its lesser than 35km journey. Railway Station telephone number: +91-8254-237365. Autorikshaws are available everywhere and they charge ₹25/- for shorter distances. Arishna Gundi Waterfalls. Reached only by trekking to the deep jungle. The name "Arishna" refers to the orange-yellow colour created by sunrays falling on the water droplets around the waterfall. Kashi Theertha bridge. 1 km from the Mookambika temple. Popular with trekkers and river lovers. 13.86083333333374.8747222222221 Kodachadri Mountain. Adi Sri Shakthi Mookambika Temple sits atop this mountain and is believed to be the real abode of Devi from where Adi Shankara re-established it at foothills at Kollur. A trip by jeep will cost you ₹600. 13.8638874.814462 Mookambika temple. Famous for Vidyadana, temple trust running several schools, & sponsoring midday meal program for surrounding schools. 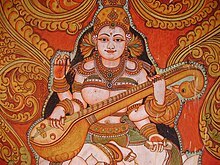 Devi Mookambika is famous for Vidya (education). People come from all across South India to visit this temple. Kollur is believed to be one of the seven pilgrim centres created by Parashurama, a Hindu mythological figure. Mookambika temple honors the Hindu goddess Parvathi. 13.8344574.897493 Mookambika Wildlife Sanctuary. Kundapur-Kollur- Shimoga road. A World Wildlife Fund project, and a home for an endangered species, the lion-tailed monkey. Souparnika river. Devotees take a holy dip here at a spot one km from the Mookambika temple. There are rocks in the river and very good photographic opportunities. There is a small tea shop and ample parking facilities here. Trekking possibilities are numerous. You can start from the bridge at Kashi Theertha river spot 1 km from the temple gate. Auto fare. ₹25. Guli Appam is made of rice batter and Urd lentils. It is cooked in special pits. 13.8637274.813421 Adiga Restaurant (Adigas Hotel), Temple gate. Offers vegetarian food at reasonable rates. Akshaya Restaurant, Temple gate. Offers good food at cheap rate. There are a number of lodges around the Mookambika temple. Private hotels are mostly situated between the busstand and the temple gate and some of them offer rooms at ₹500-2,000 per night. There are two lodges inside the temple gate. The first one is called Hotel Shwetha. The second one is a guest house run by the temple administration. Rates: ₹500 for a double room with bath. The rooms are new, spacious and attached with clean bathrooms. Several cheaper lodges are also available behind the parking space on the Shimoga road. They offer rooms at ₹200 per night and dormitories at lower prices. This city travel guide to Kollur is an outline and needs more content. It has a template, but there is not enough information present. Please plunge forward and help it grow! This travel guide page was last edited at 12:46, on 7 April 2019 by Wikivoyage user Ground Zero. Based on work by Wikivoyage users Traveler100bot, DaGizza, Traveler100, Ikan Kekek, Madezyma Alex, Prof tpms, Matroc, Csyogi and Nurg and others.